With the release of the reboot hitting cinemas everything that could be made into ‘Ghostbusters’ merchandise IS being made. Hostess are giving us Slime version Twinkies, Hi-C orange juice are re-releasing their Ecto-cooler (it’s a green coloured orange juice) and of course the classic Ecto plasm slime in a tub. 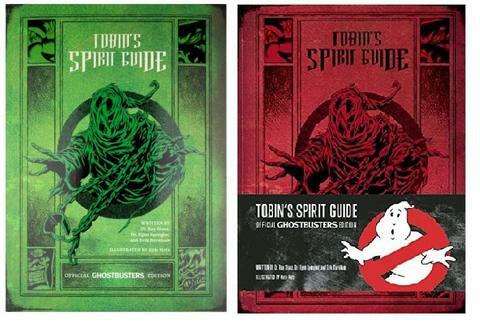 But the best thing that has come our way, by Insight Edition Publishing, is their Official GHOSTBUSTERS edition ‘Tobin’s Spirit Guide’. 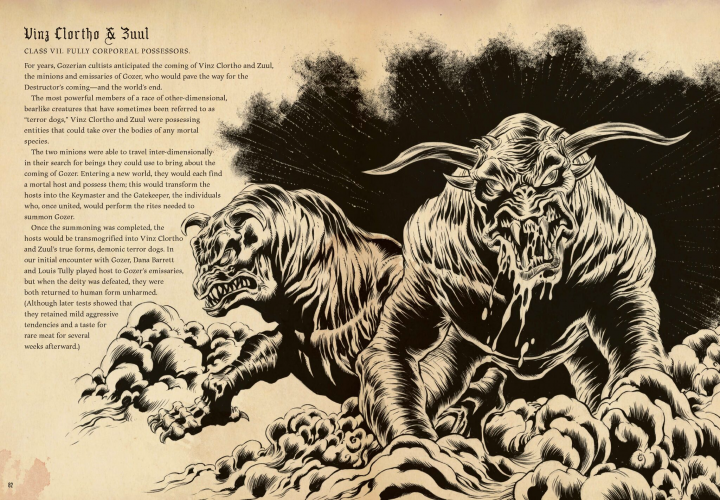 Mentioned repeatedly by Dr. Egon Spengler and Dr. Ray Stanz in the Original Ghostbusters movies and through the animated series, Insight Editions has really thought outside the paranormal box to deliver something that is really worthwhile and visually brilliant. There are two versions, green and red, both hard backs with a creepy black gloss illustration of the classic ‘no ghost’ logo. 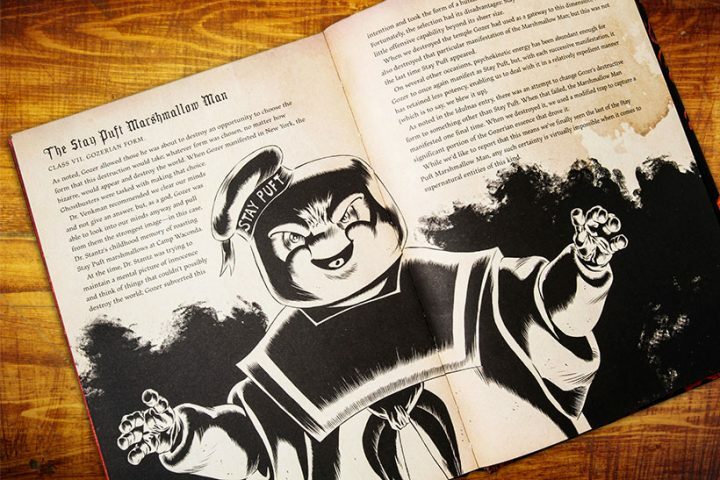 The pages are nice and thick and printed with the utmost care, as if the printers themselves were Ghostbusters fans. 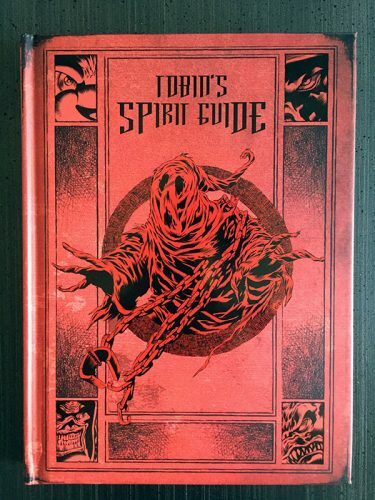 Dr. Ray Stanz writes the foreword giving us an introduction into the world of the Paranormal and explaining the different types of ghost and their class.The book itself is written by the two veteran Ghostbusters and Erik Burnham and illustrated by Kyle Hotz. 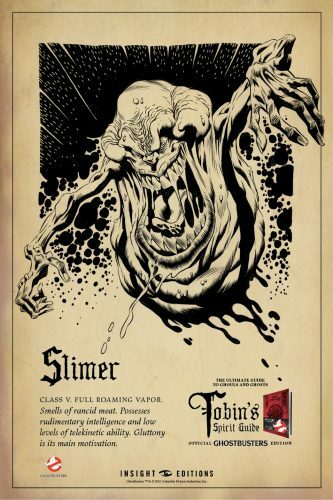 Inside features some amazing art work by Hotz and includes some memorable ghosts, spectres and class 4 free roaming vapours such as; the taxi cab ghost, the Scoleri brothers, Slimer and yes even the Big Guy! We also see some ghosts that many of you won’t remember unless you frequented the animated series “the Real Ghostbusters” like Spook master, Samhain! The afterword is done from that of Dr. Egon Spengler and the way it’s been written you swear it’s come from Harold Ramis himself and its accompanying picture is that of a ghost trap! An amazing way of finishing a book and it really gets you in the feels. 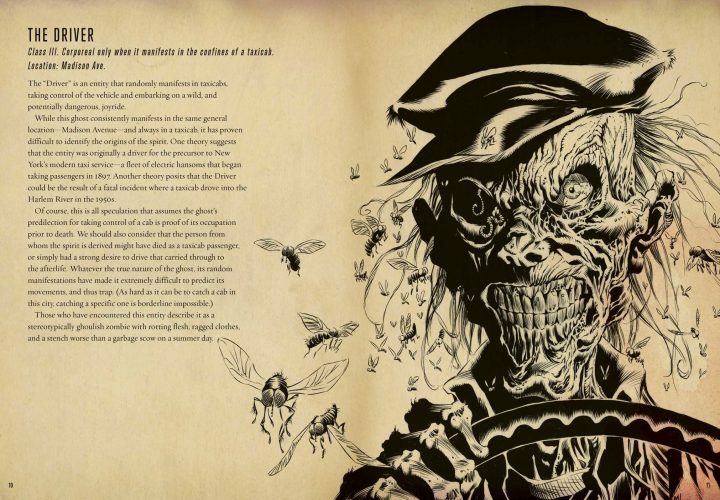 Its presentation is lovely and written in a way that it doesn’t leave you scratching your head and looking for a dictionary to find out what a word stands for or it’s meaning; With every subject detailed and explained with a great backstory and history. 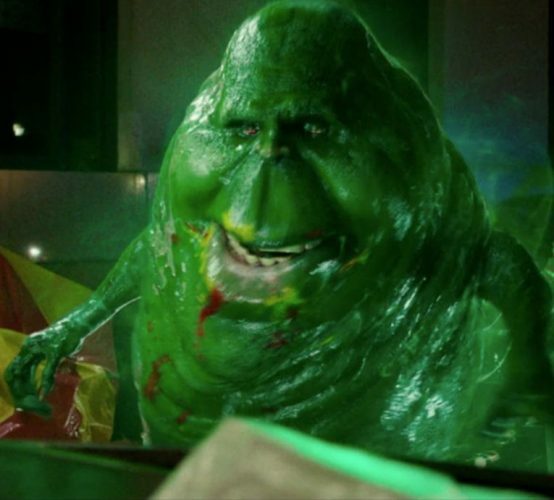 Illustrations as I said before are flawless and they have been drawn from the point of view of sheer terror, for example; Slimer (labelled here as the green ghost) doesn’t look like the little spud we all know stuffing hotdogs into his mouth. This one looks sheer horrifying and not what you would expect. Care and consideration has gone into producing this book with the thought and respect for the fans in mind. The red (or green) on the cover is the only bright colour you will see in this book, the rest of it is black and the pages are coloured like ancient parchment which gives it that feel and look of a century’s old book making it that much sweeter for fans or collectors.